Product information "AP01P Aliro Access Point, 1 door"
The AP01P has 4 inputs, 2 relay outputs and 4 open-collector outputs, 2 RS485 or 2 C&D/ Wiegand reader ports. The inputs- and outputs are user configurable to meet a majority of the use cases, but out of the box there’s a pre configuration (that of course can be changed) to ease installation for the majority of the doors. Readers are mounted at the door, and connected via RS485, Clock/Data or Wiegand. 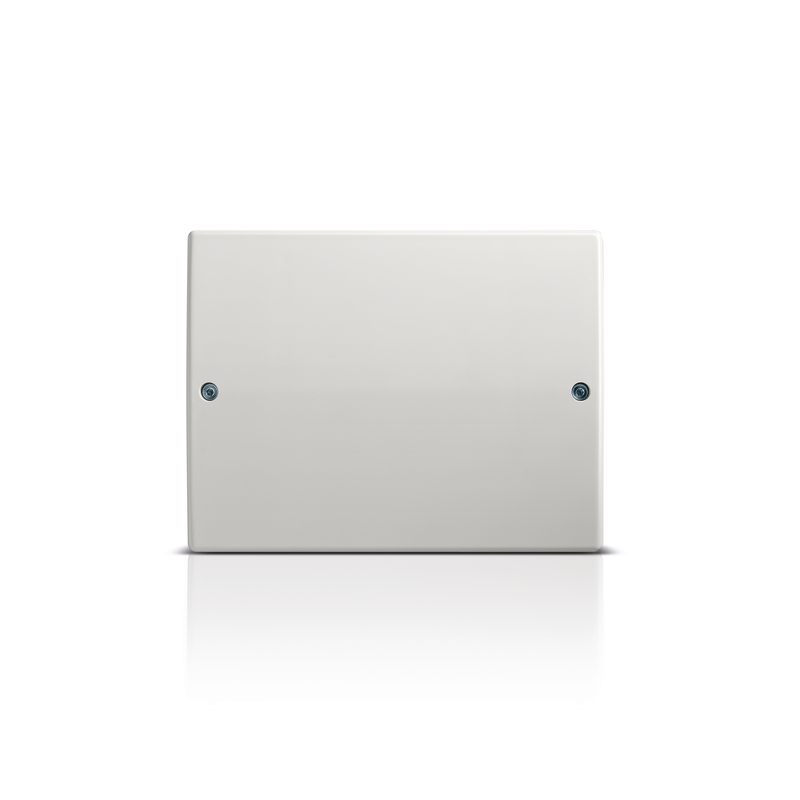 The Access Point (AP) offers the ability to connect four readers (RS485 Vanderbilt-OSDP) to be used for entry or exit and can be placed in different heights to accommodate for instance for wheelchairs or garage barriers. All events are logged in the Access Point (AP), as well as on the web server. In case of the AP being off line, it keeps the 80000 latest events in it’s on board memory. An Access Point (AP) can be configured to be an enrolment interface (connected to any reader), ensuring flexibility of card programming, and at the same time also controlling a door environment.